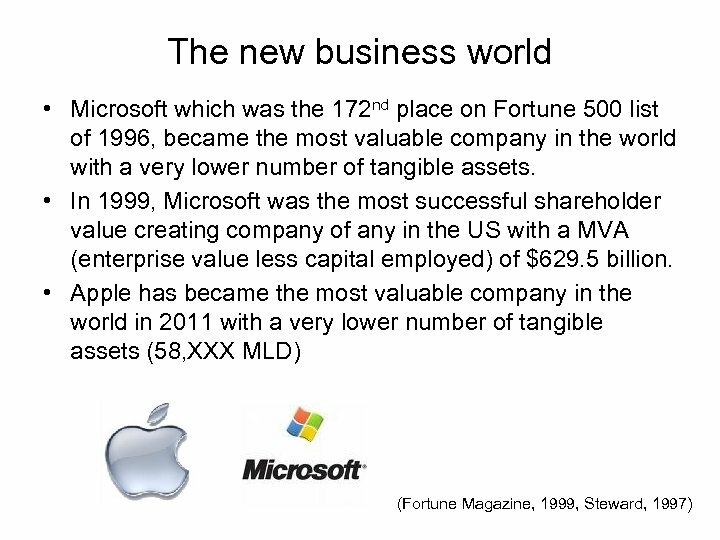 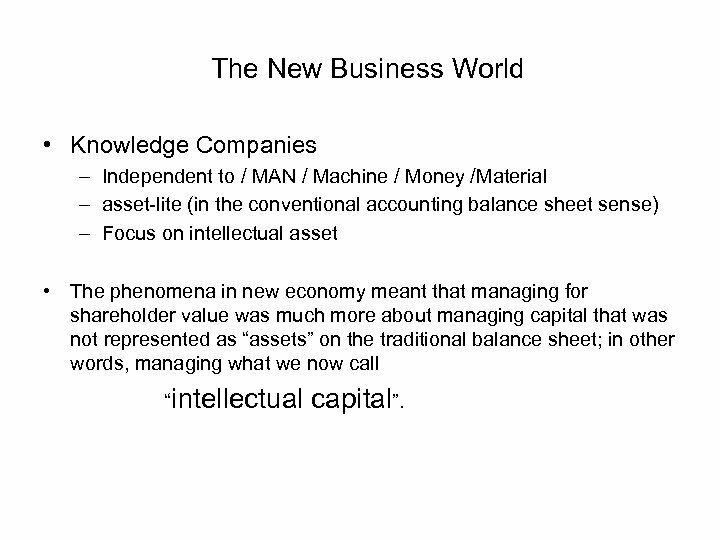 The New Business World • Knowledge Companies – Independent to / MAN / Machine / Money /Material – asset-lite (in the conventional accounting balance sheet sense) – Focus on intellectual asset • The phenomena in new economy meant that managing for shareholder value was much more about managing capital that was not represented as “assets” on the traditional balance sheet; in other words, managing what we now call “intellectual capital”. 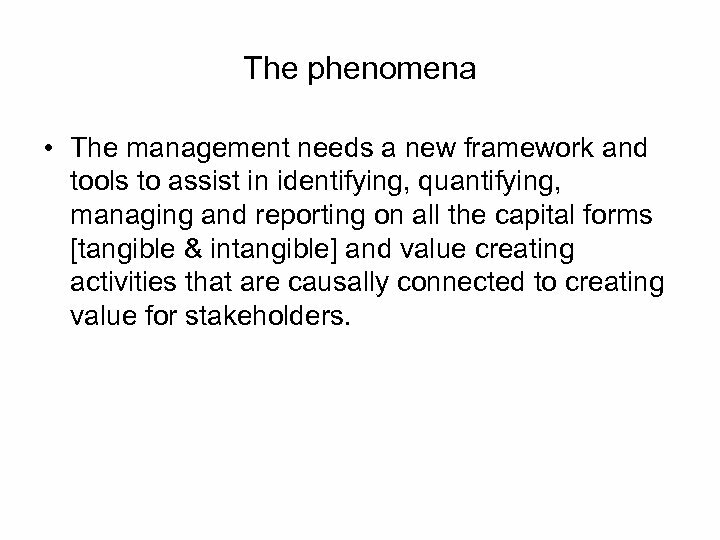 The phenomena • The management needs a new framework and tools to assist in identifying, quantifying, managing and reporting on all the capital forms [tangible & intangible] and value creating activities that are causally connected to creating value for stakeholders. 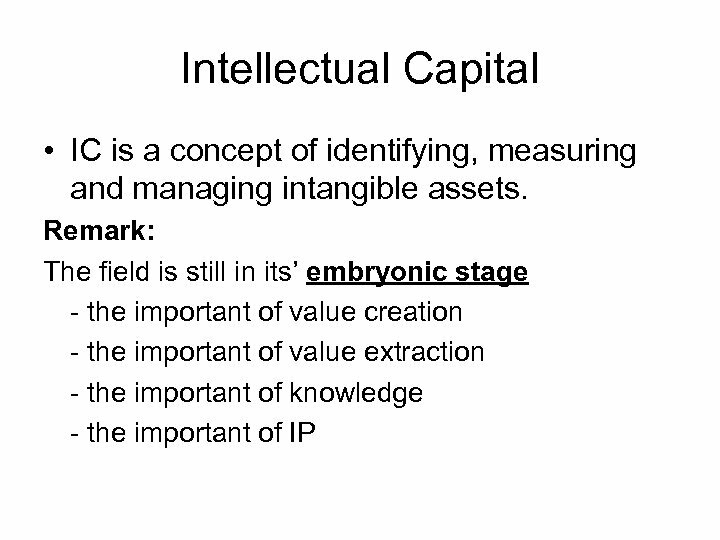 Core-elements of Intellectual capital • • • IC is about intangibles. 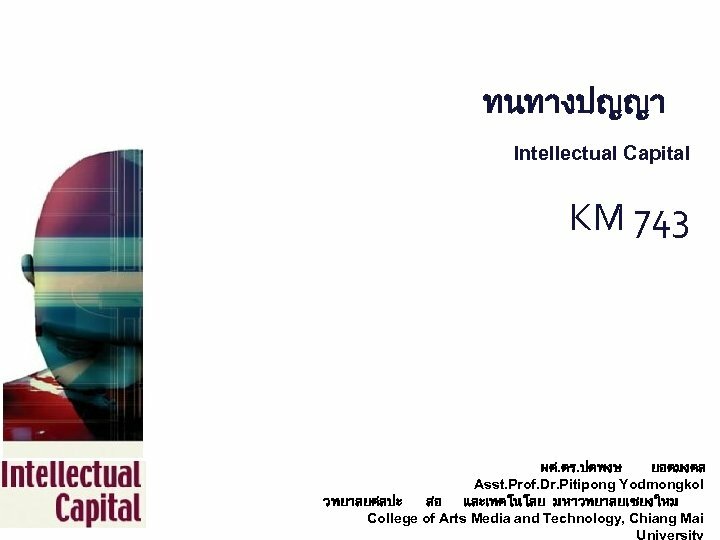 An intangible is something which is “hidden or not-material”, which is “difficult to understand” and which “cannot be known by the senses”, although “it is known to be real” (Longman Dictionary). 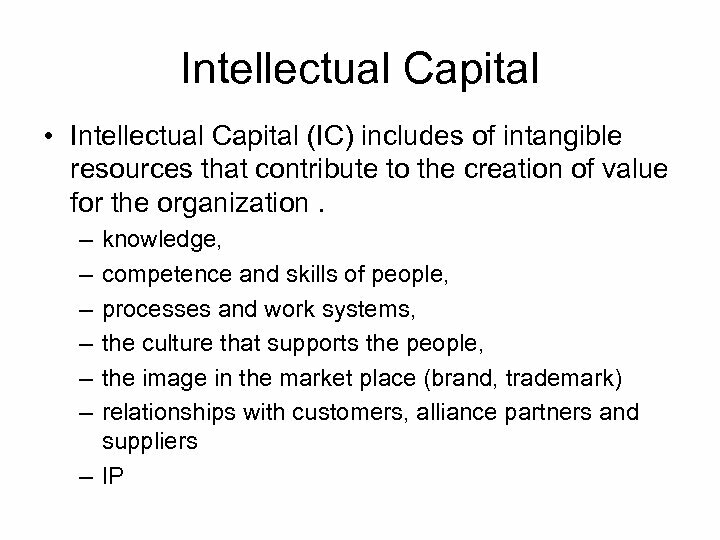 IC is the make the difference Intellectual capital is a further specification of the resource-based view of the firm. 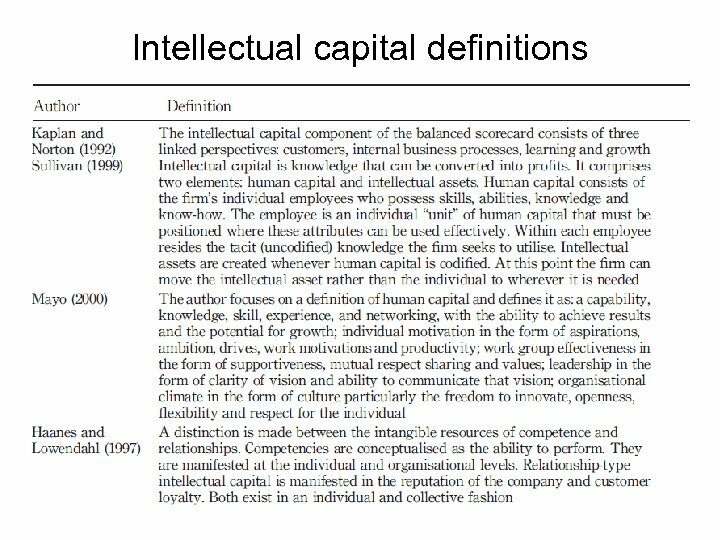 The starting point of this intangible-based view of the firm is that intangibles are the main source of value creation and competitive advantage (Edvinsson & Malone, 1997; Stewart, 1997; Sveiby, 1997). 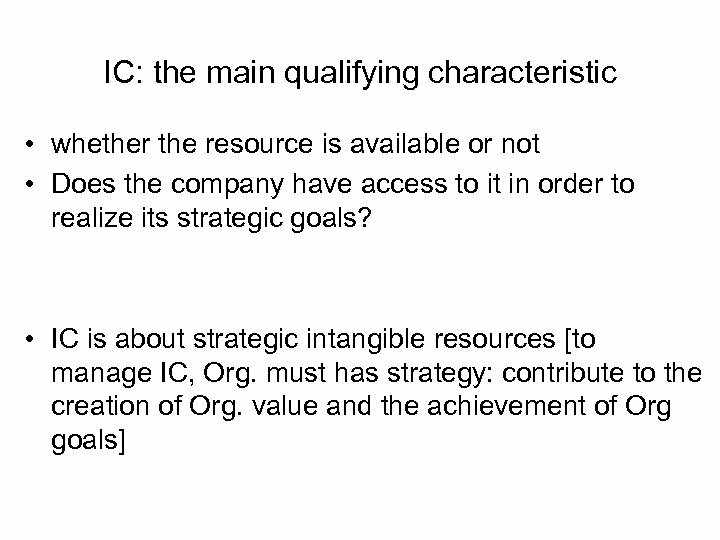 IC gives structure to organizational resources. 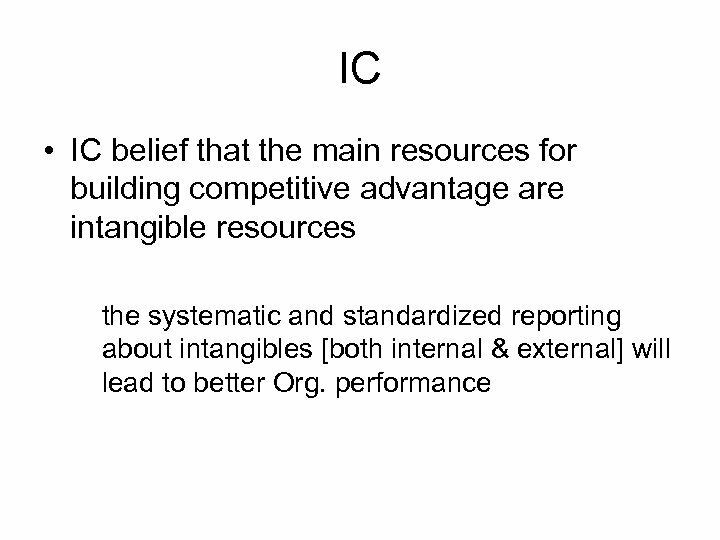 Recognizing the importance of intangibles is one thing, but translating it into a theory is another. 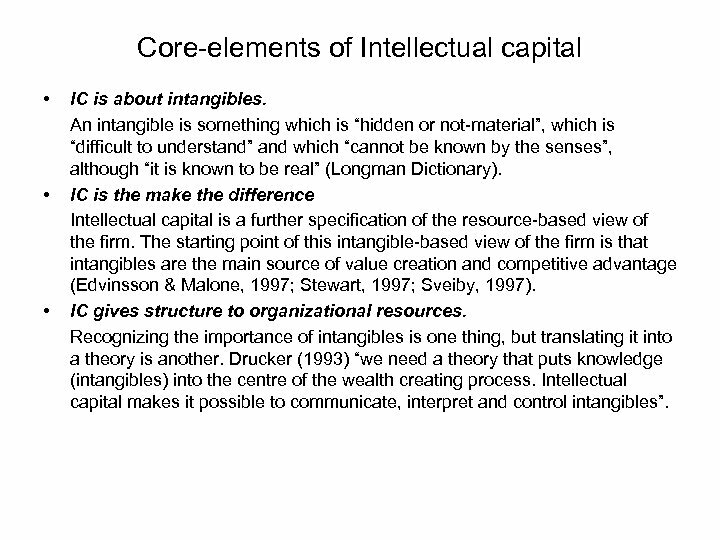 Drucker (1993) “we need a theory that puts knowledge (intangibles) into the centre of the wealth creating process. 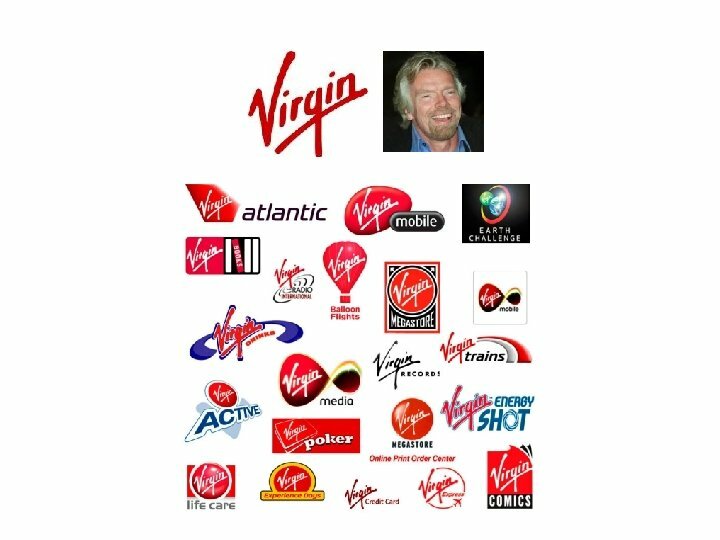 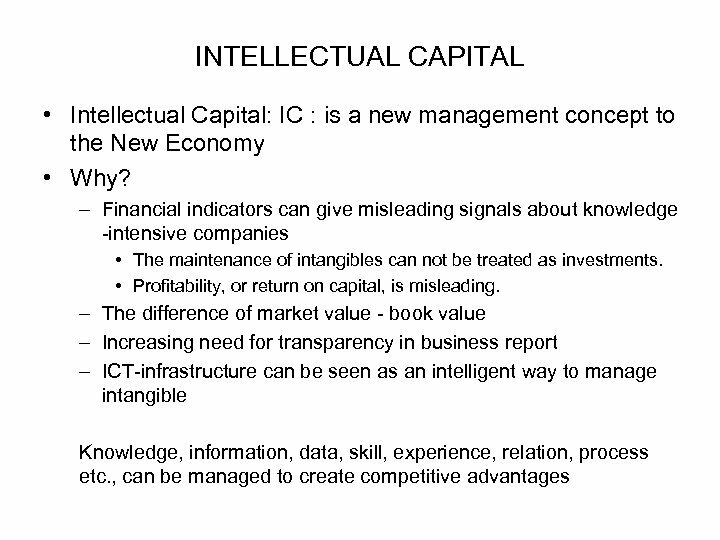 Intellectual capital makes it possible to communicate, interpret and control intangibles”. 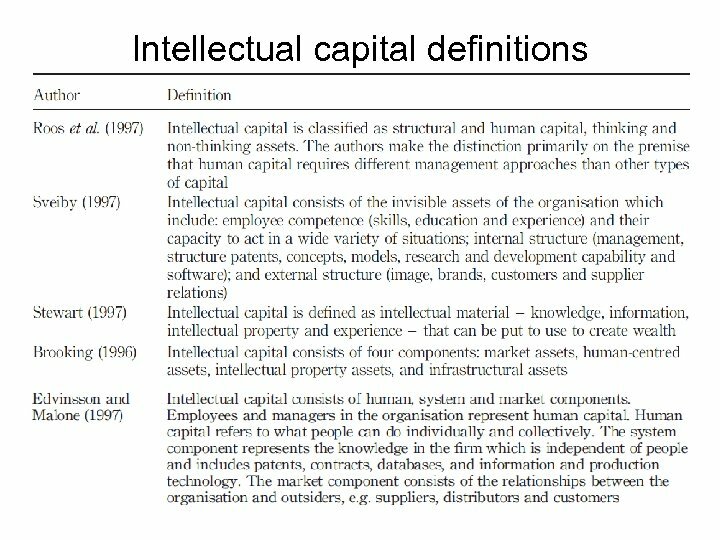 Core-elements of Intellectual capital (Con. ) 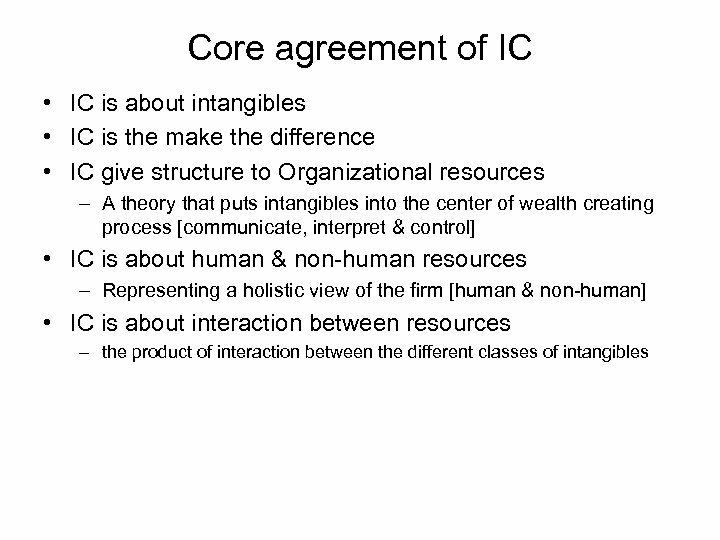 • IC is about human, and non-human resources. 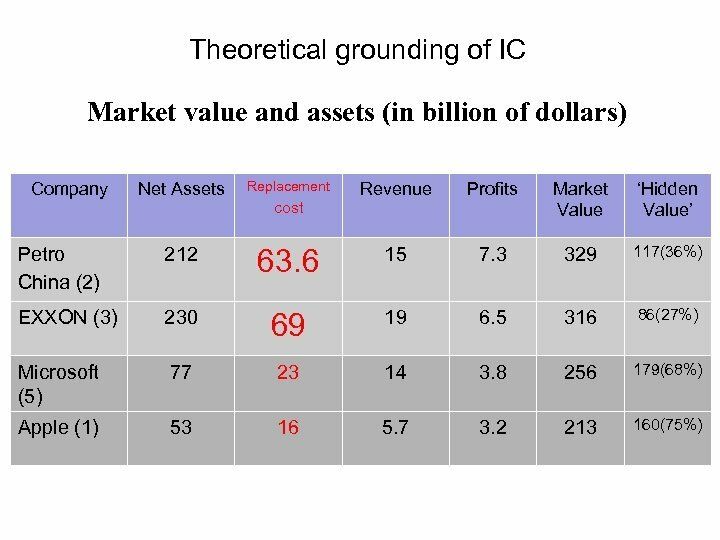 IC represents a holistic view of the firm. 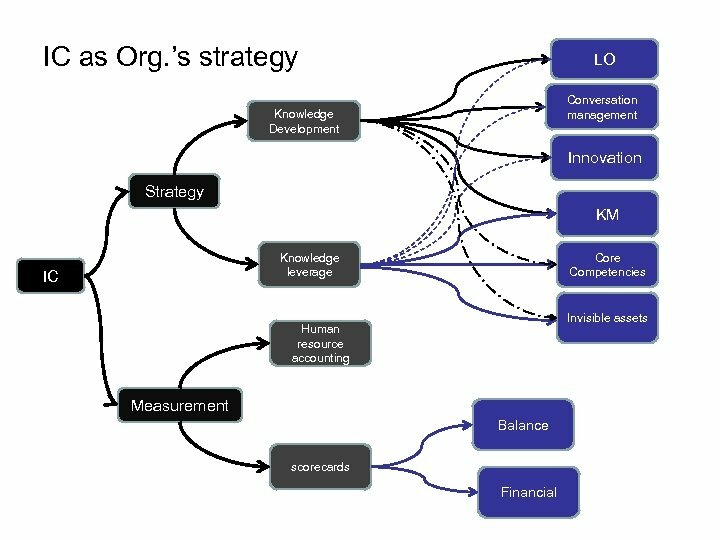 It is not only about the people (like Human Resource Accounting), but also about the nonhuman intangible resources, like organizational processes, structures, systems. 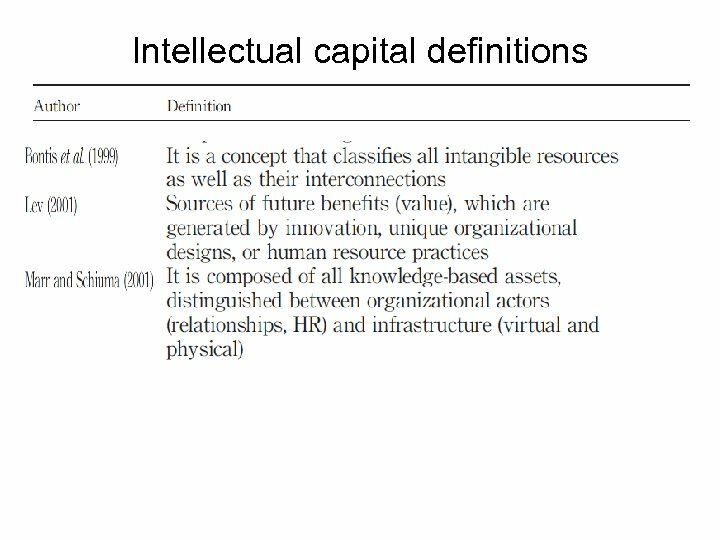 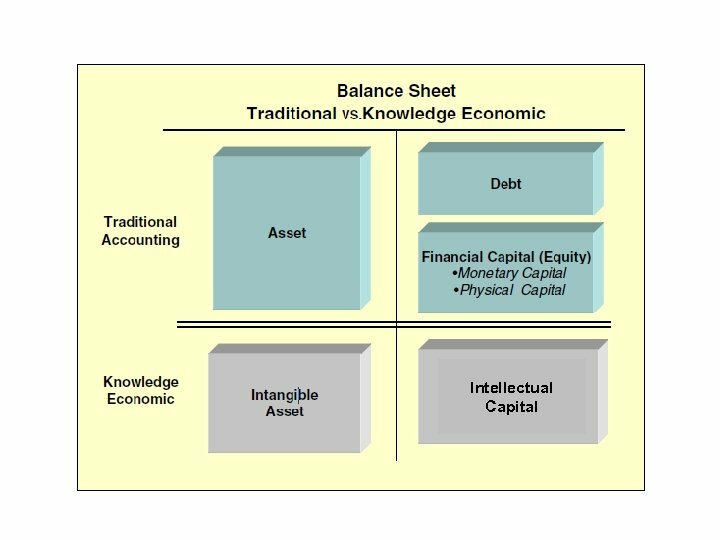 • IC is about interaction between resources Intellectual capital consists of different sub classes of intangibles (human capital, structural capital, relational capital). 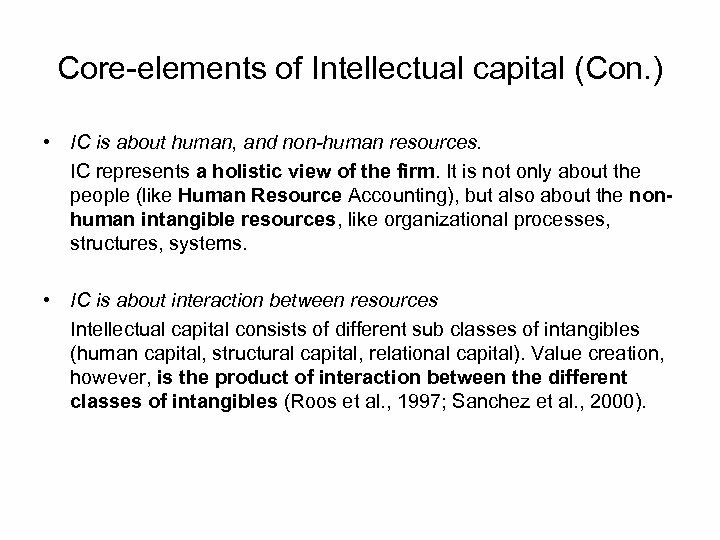 Value creation, however, is the product of interaction between the different classes of intangibles (Roos et al. 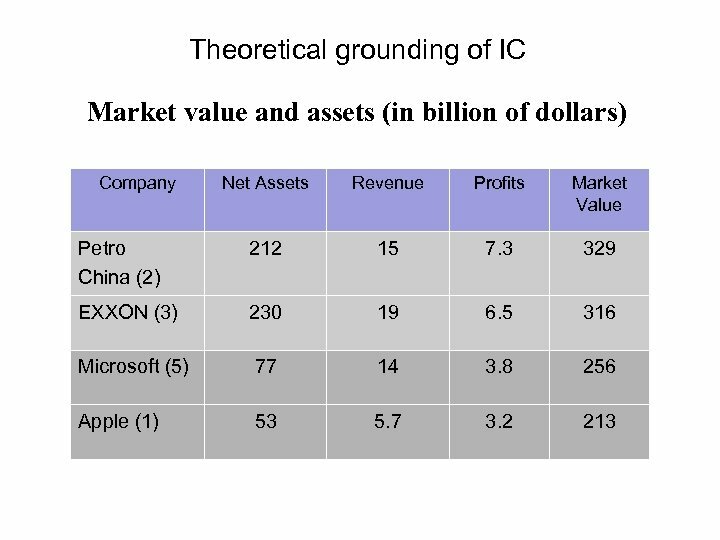 , 1997; Sanchez et al. 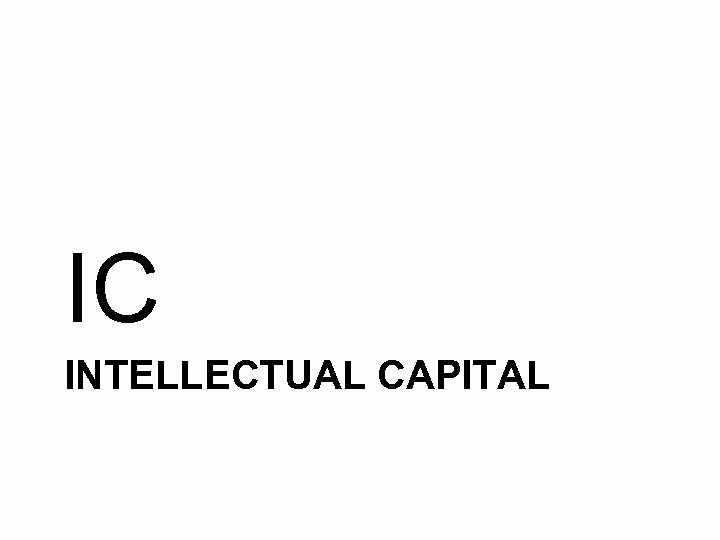 , 2000). 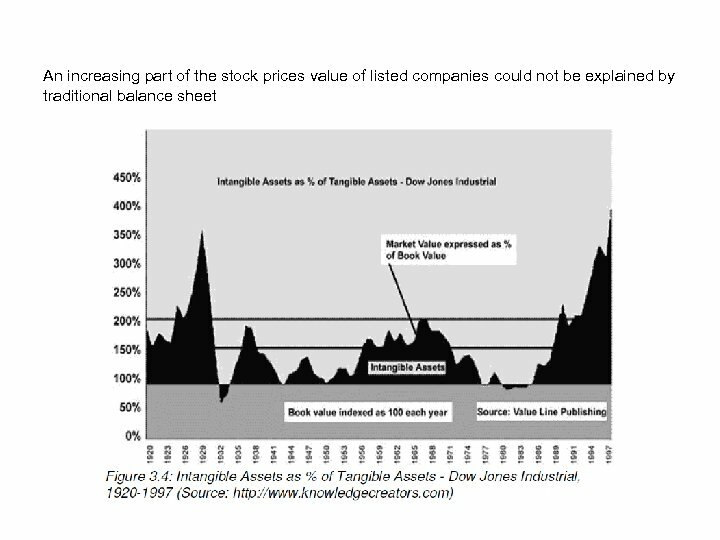 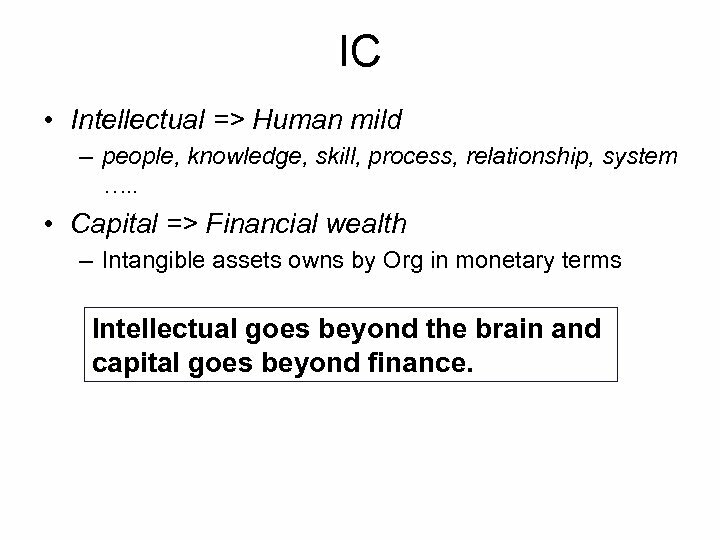 IC • Intellectual => Human mild – people, knowledge, skill, process, relationship, system …. . • Capital => Financial wealth – Intangible assets owns by Org in monetary terms Intellectual goes beyond the brain and capital goes beyond finance. 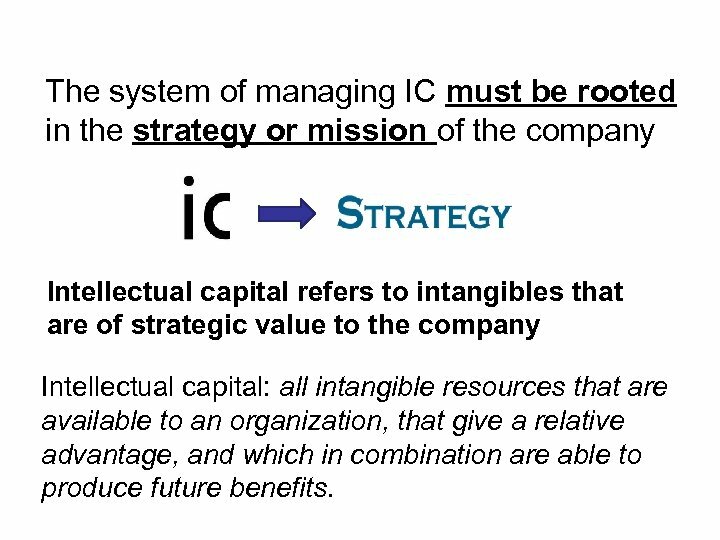 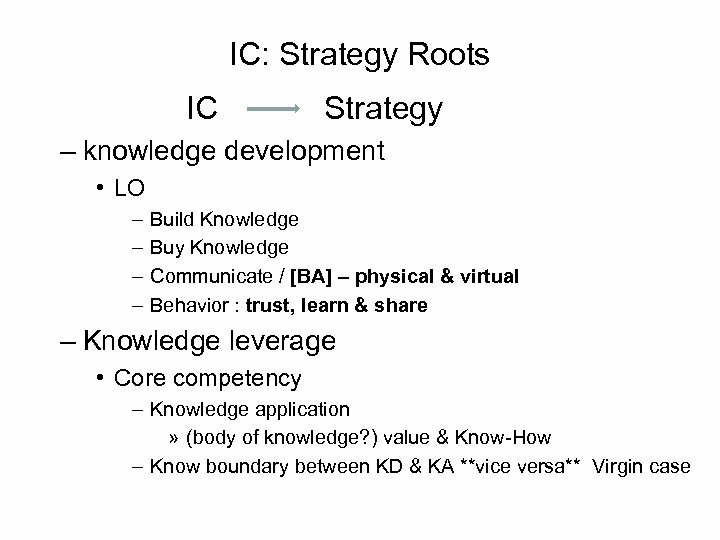 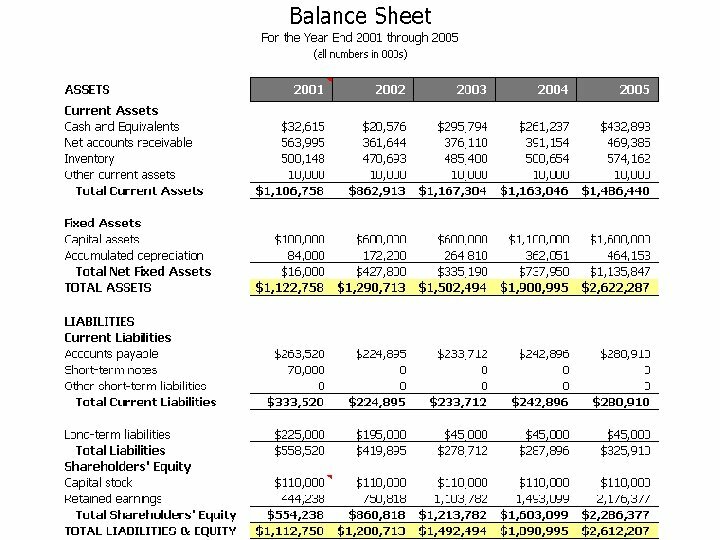 The system of managing IC must be rooted in the strategy or mission of the company Intellectual capital refers to intangibles that are of strategic value to the company Intellectual capital: all intangible resources that are available to an organization, that give a relative advantage, and which in combination are able to produce future benefits. 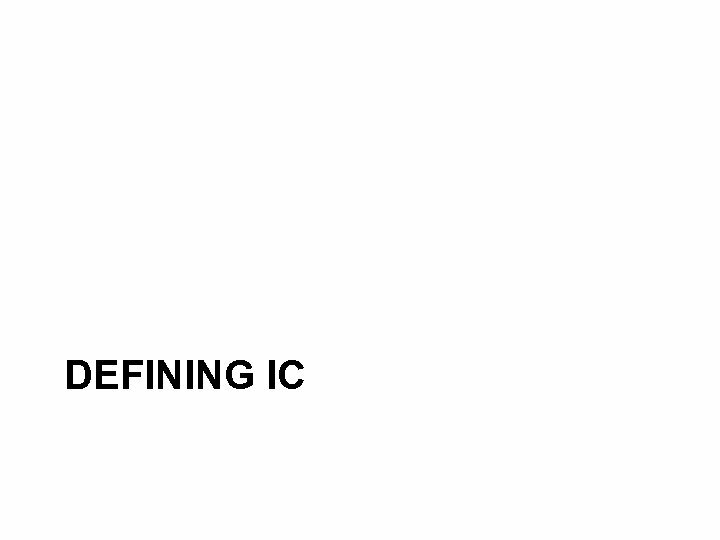 Checked by: Jukova T. Done by: Aitmyrza A.